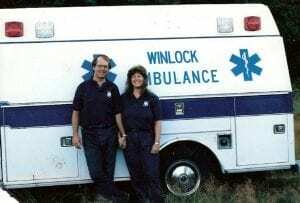 Randy and his wife Carrie after they picked up a new ambulance for Winlock. Carrie recently retired from the Winlock Fire Department as Captain after 34 years. She was the first female command officer in the county. Photo courtesy: Randy Pennington. There isn’t much that slows Reserve Officer Sergeant Randy Pennington down, not even reaching retirement age. This Toledo Police Department officer has a tenacity that could rival any rookie on the force. Pennington has a lifetime of first responder experiences, serving south Lewis County for the last 33 years. Pennington began his medical training during one of his multiple back-to-back tours in Vietnam. 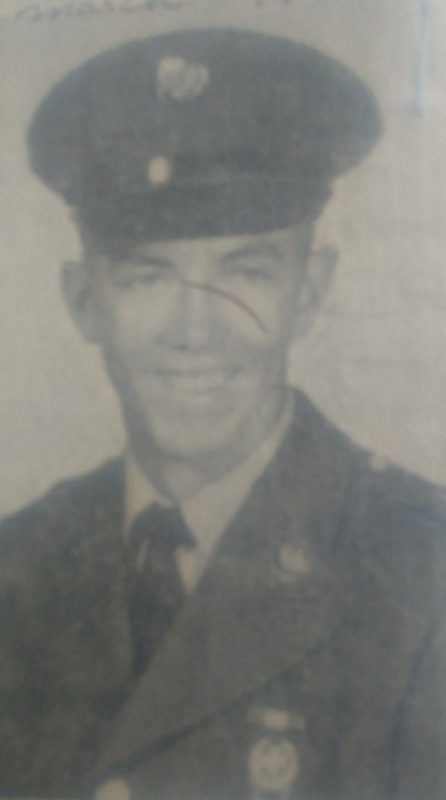 As a Screaming Eagle for the 101st Airborne, Pennington worked as a flight medic – even surviving a helicopter crash – then as a Drill Sergeant, and eventually as a jungle combat instructor in Hawaii. 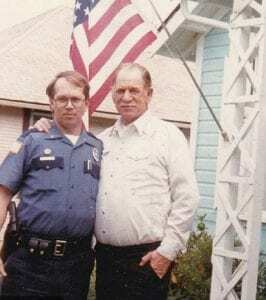 His two sons also followed the family tradition and enlisted during the Gulf Wars, both serving under the 101st Airborne Division like their father. 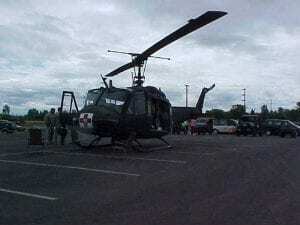 This is the Medivac helicopter from the 54th Med Detachment that Pennington flew with out of Ft. Lewis, in the 70s and 80s – the only life flight services of that time. The call sign was Dust Off One. Photo courtesy: Randy Pennington. Police work is not Pennington’s only public service. He has served as the Winlock Fire Department Fire Commissioner for over 18 years. The board acts as the legislative authority for the district. Becoming a Fire Commissioner was a natural act after becoming one of the first paramedics in Lewis County in 1981. A week before his 17th birthday, Pennington enlisted in the Army. His father was a veteran as well, serving in the Army and as a Marine at only 14 during WWII. Photo courtesy: Randy Pennington. Pennington never misses an opportunity to show his fun side. During Cheese Days, Toledo PD participated in a concert-style lip sync battle video. Police Chief John Brockmueller’s band Sucker Punched provided the perfect opportunity to have some fun with the town’s citizens. Sergeant Pennington with Damon. 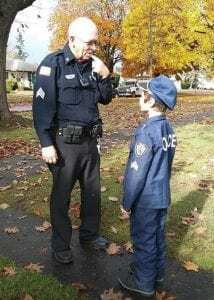 “He’s nice and friendly,” says Damon, who still wants to be a police officer when he grows up. Photo courtesy: Randy Pennington. It’s outside of his patrol car that Pennington finds the biggest rewards in police work. His granddaughters have settled into class, only to find Pennington at the door in uniform. He even shared his musical talents with his youngest granddaughter. Karlee’s class performed a funny song and dance they watched on YouTube. Upstanding leaders with compassionate hearts like Pennington are what make Lewis County so wonderful. Take a moment and thank a first responder for their service. 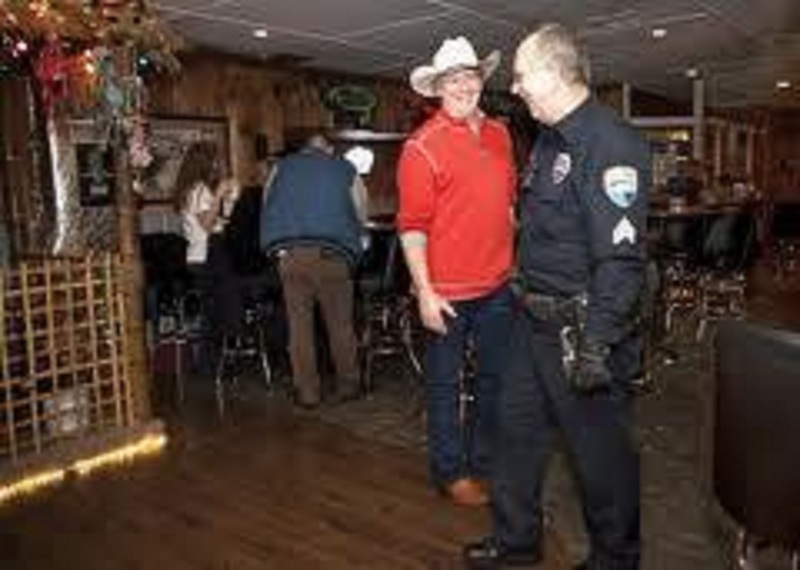 A bar check with Officer Randy Pennington. Photo courtesy: Randy Pennington. Pennington in the army. Photo courtesy: Randy Pennington. 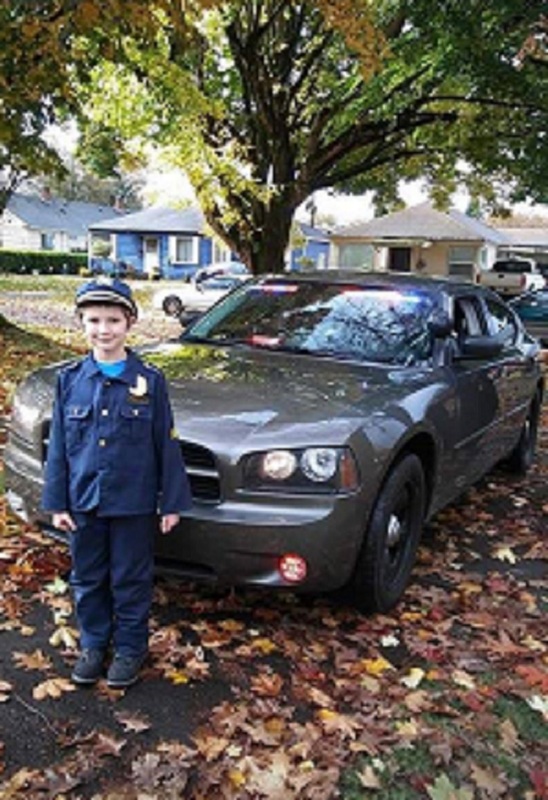 Damon poses with Pennington’s patrol car. Photo courtesy: Randy Pennington.